Successfully Added Foldable Silicone Drum - 7 Pads, 2 Foot Padels, Head Phone Jack, Realistic Sound to your Shopping Cart. This foldable silicone drum is the perfect gizmo for parents and teachers that which to teach the younger generation about playing the drum. With its foldable and lightweight design, this silicone drum is extremely portable. You’ll be able to easily store it away when not in use and it can additionally be carried around anywhere you go inside your bag. The drum comes with 7 pads as well as 2 foot pads. Thanks to this, you’ll be able to enjoy a realistic drum experience that feels and sounds as if you were playing the real thing. When connected to your external speakers, this foldable silicone drum treats you to realistic sound effects. It furthermore features an external headphone jack. This little feature allows your child to practice in peace without disturbing his surroundings. 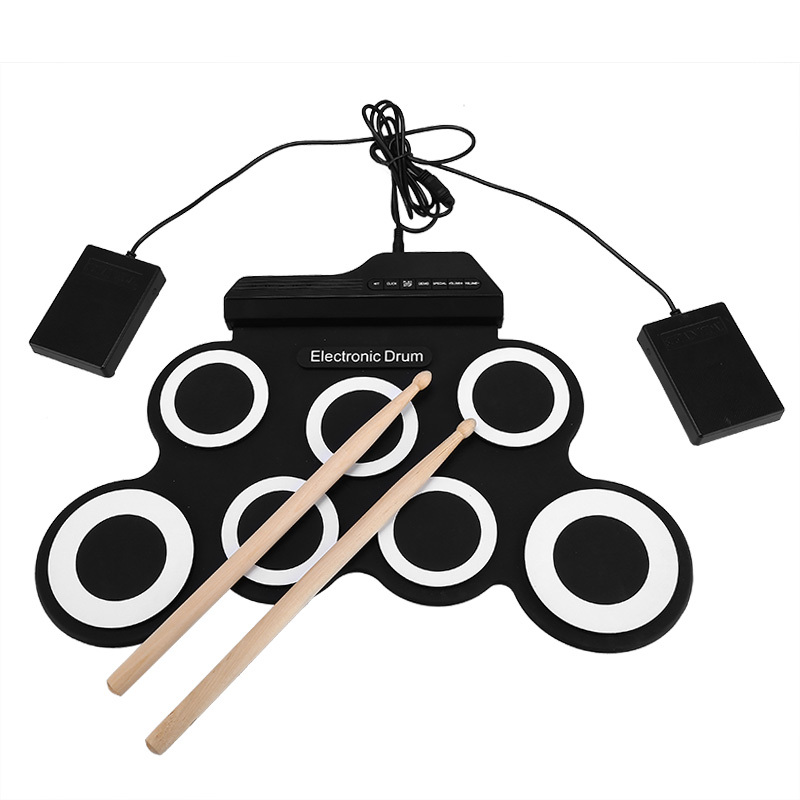 With its 5 different tones, 8 pre-installed practice songs, and 3 rhythms, this portable drum set lets you practice any type of music. Whether you’re into pop, rock, or electronic music – nothing is impossible with this silicone foldable drum. Its affordable price along with its lightweight and foldable price makes this the perfect gizmo for home entertainment and education purposes. Simply plug it in, and you’ll be all set to start practicing your favorite tunes on your way to becoming a real-life rock star. This foldable silicone drum comes with a 12 months warranty, brought to you by the leader in electronic devices as well as wholesale electronic gadgets..